General Hydroponics pH 4.01 Calibration Solution is used to adjust your pH meter. 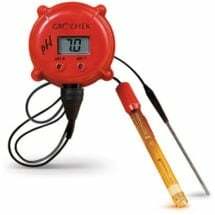 Easy to use, just dip your electrode into a small amount of the buffer and adjust the meter to read 4.01. Do not reuse solution. Suitable for all makes and models of pH pens and meters. 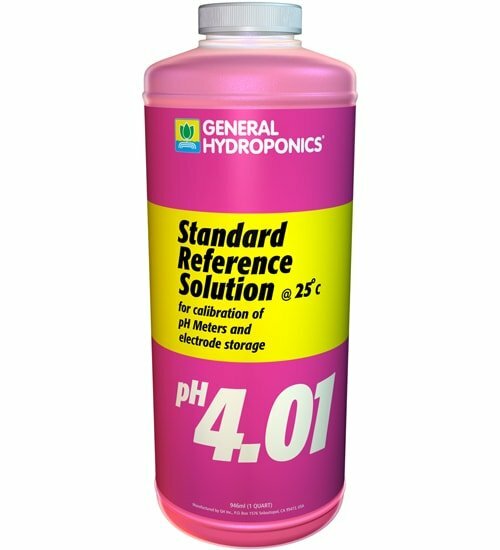 This standard reference solutions is of the highest quality and allows growers to calibrate many popular meter brands with confidence (NaCl scale or the 442 scale). Each batch is carefully checked to ensure that it is precisely calibrated and yields reliable readings every time. 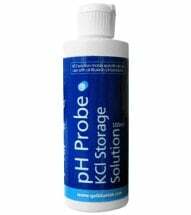 We recommend that you calibrate your pH meter regularly. 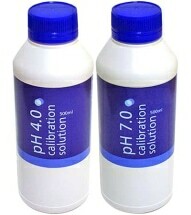 The ideal pH range for most hydroponic crops is between 5.5 and 6.5.